From the first time I flipped open my October 2010 issue of Every Day with Rachel Ray, I knew I would be making the apple cupcakes in there. I love fall because of apples. Apple pie, apple donuts, apple cider, candied apples, caramel apples, apple and cheddar omlets… the list goes on. so when I saw apple cupcake I knew I would be trying these out. The cupcakes sounded great as they were described in the magazine, but I decided to give them my own twist. 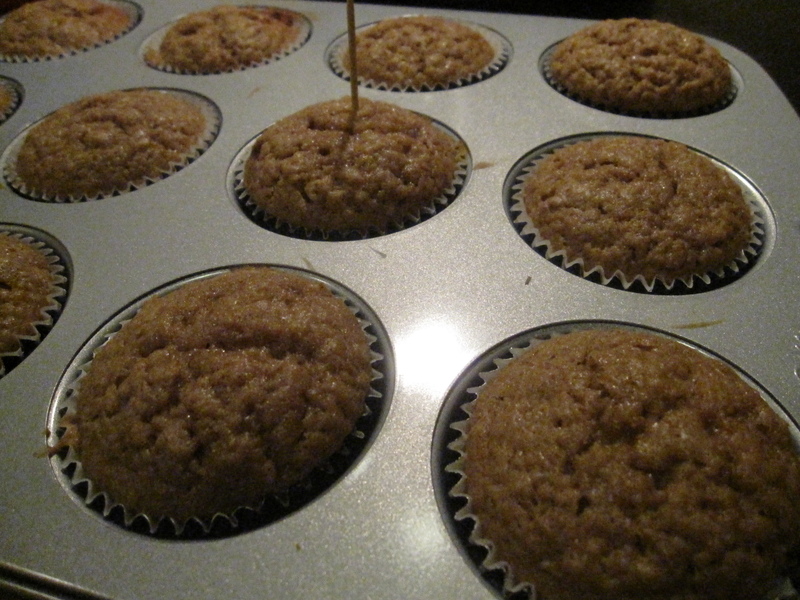 I had spent the day prior to making the cupcakes canning various things, including apple butter. I loved spending the day in the kitchen, esp surrounded by the sweet smells of fruit cooking down into jam and butter. 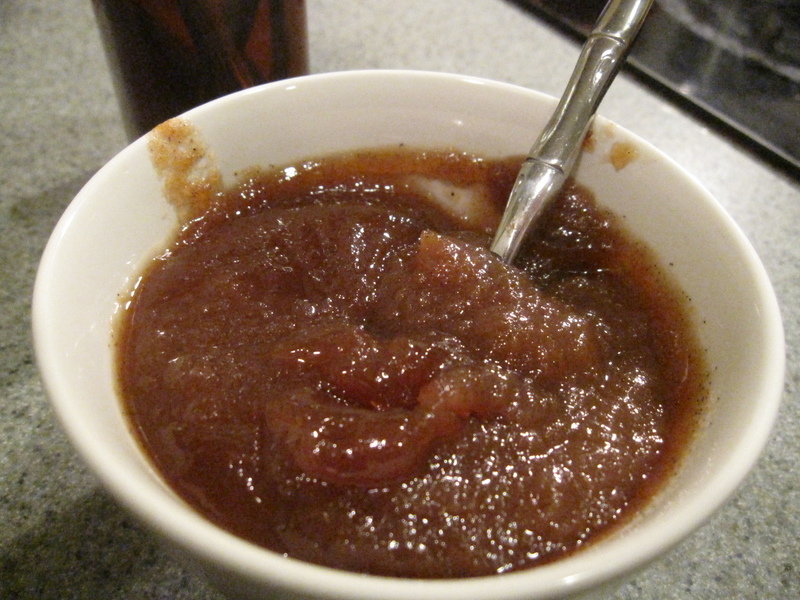 Our whole place smelled like an intense apple pie for the whole day while the apple butter was cooking down. Once it was complete I canned some and left some for us to use immediately. And by use immediately, I mean eat right out of a bowl. Since one can only do that for so long I decided that I would need to eat it on toast for some ‘real’ substance and add into some recipes. 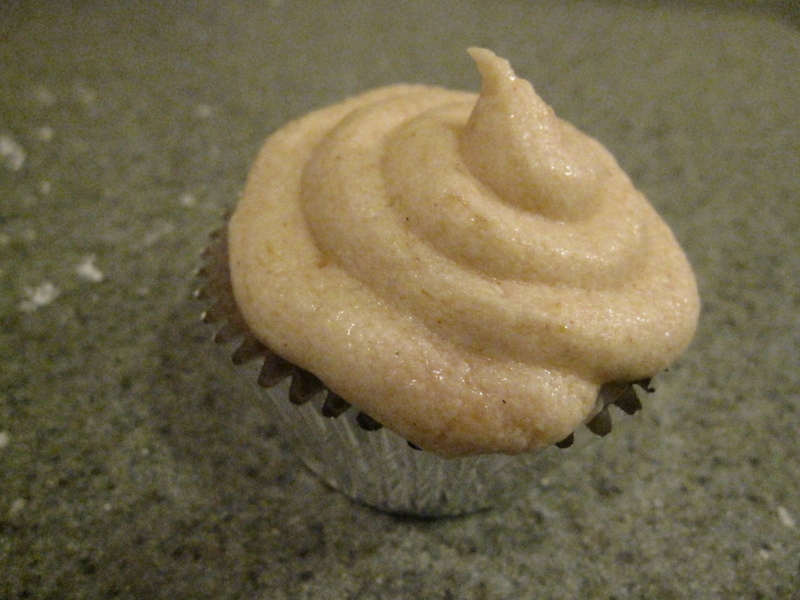 Which resulted in the development of the apple butter buttercream frosting. The cupcakes are really easy to make. 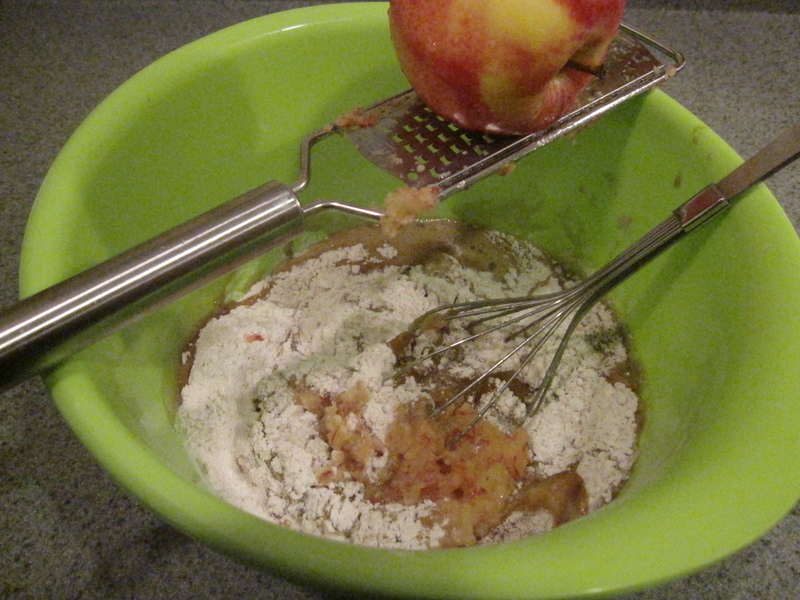 I loved it since I did not need to make the mixer dirty for that. 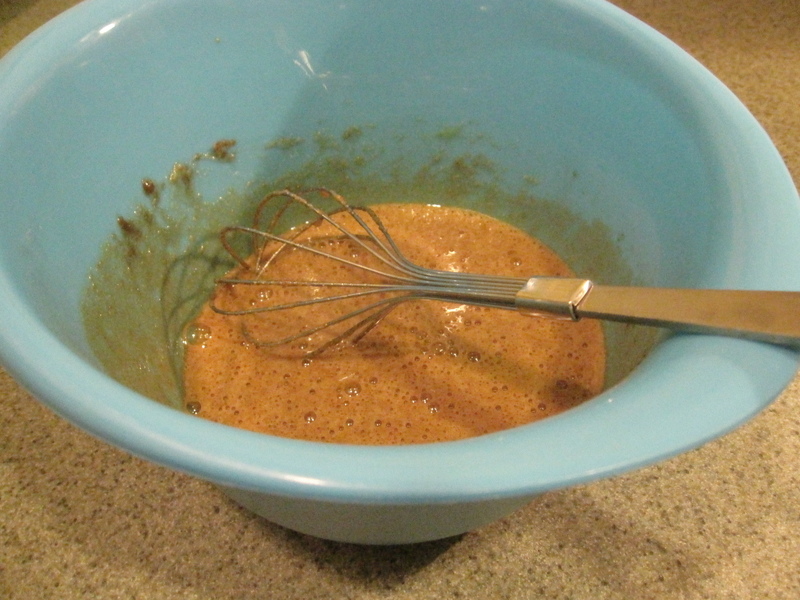 Just use 1 whisk for the cupcakes and you are all set. The recipe called for peeling the apples, but I did not think that was necessary, so I just grated them as is, and ended up with great results. Laziness can pay off. I typically store cupcakes in the refrigerator or in a cool place because of the milk in the buttercream. However, this frosting does not have milk in it so you don’t have to rush them into the big chill. That is one thing I really like about this frosting since I really dislike harden butter cream frosting. That being said, don’t leave them by your warm stove or you will have a frosting disaster on your hands. Preheat oven to 350. Line 2 cupcake pans with liners. 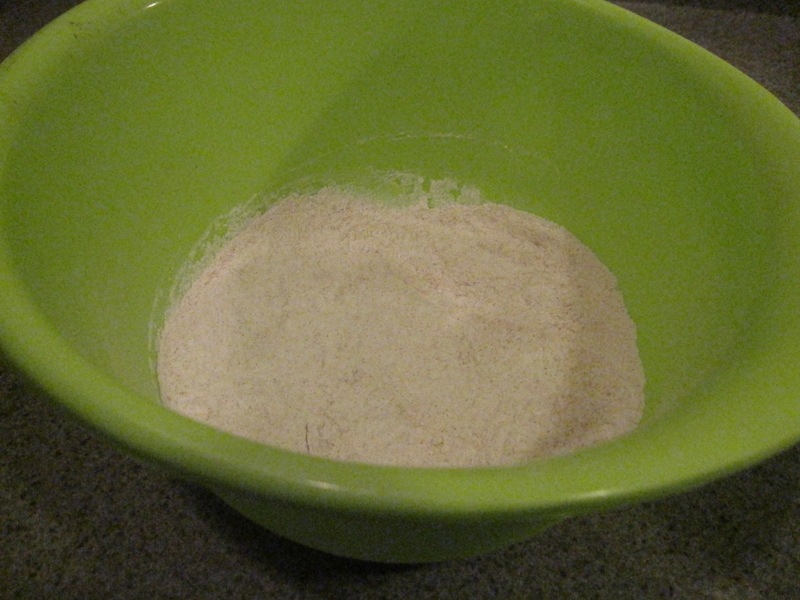 In a large bowl, whisk together the flour, baking soda, cinnamon, and salt. In a medium bowl, combine the eggs, brown sugar, granulated sugar until smooth. Whisk in the oil and vanilla extract. 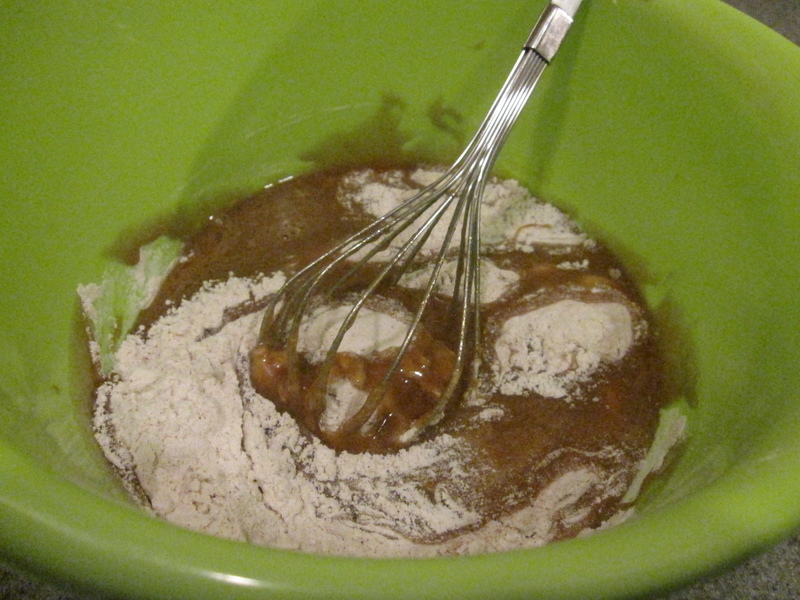 Add the wet mixture into the dry mixture until just combined. Add in the shredded apples. 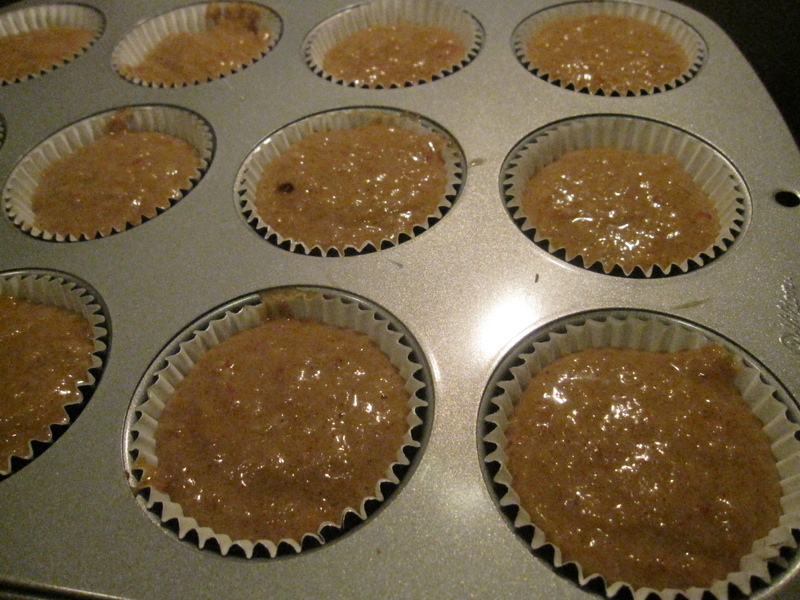 Spoon the batter into the cupcake liners and until almost full. Bake for 25- 30 minutes, or until a toothpick inserted in the center comes out clean. Cool on a baking rack. 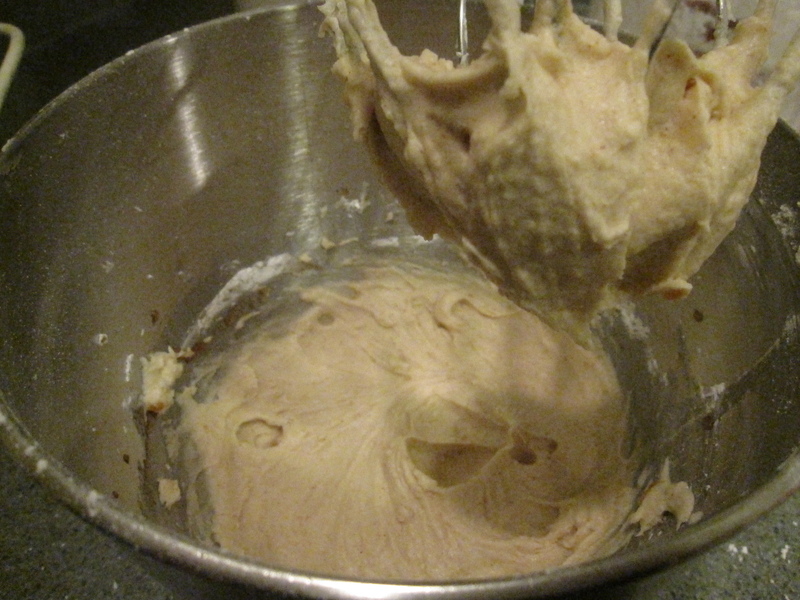 Prepare the frosting by: Cream the butter until light and fluffy. Add in the powdered sugar in batches, mix completely. Add in the vanilla and apple butter and mix completely. Add more powdered sugar until reached desired consistency.